It's time to dust off those running shoes from the back of the wardrobe and get training for a new charity run that is set to return next year by popular demand. 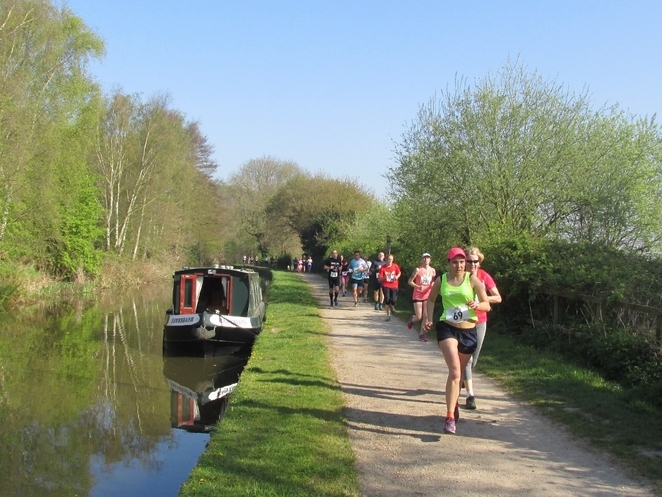 The Rotary Cathedral to Castle Run, so named because it covers the 10 mile distance between Lichfield Cathedral and Tamworth Castle in Staffordshire, will be back for 2018 - and with more than double the number of spaces available. After an incredibly successful first run in April 2017, which saw the event sell out in just six days, the four Rotary clubs of Tamworth and Lichfield have once again joined forces to organise an even bigger event which will take place on Sunday 8 April. 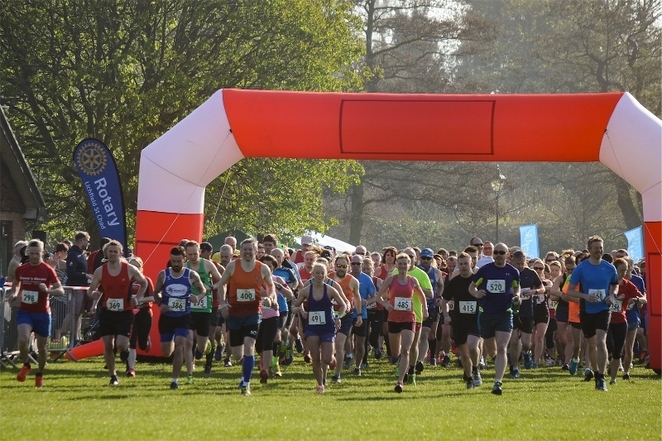 On this occasion, the number of available places has been extended from just over 500 to 1,200 to give more people the chance to run the iconic course, linking the two historical monuments. Other new features for 2018 will include children's and juniors fun runs in Tamworth Castle Grounds and an even bigger family fun day at the finish line in the Tamworth park. Next year's route has also been amended slightly to take in Cathedral Close in Lichfield after starting in Beacon Park, so runners are able to get even closer to the impressive Lichfield Cathedral. Demand for the inaugural event was unexpectedly high, with a waiting list of 1,500 people hoping for cancellations. All proceeds were donated to charity, resulting in thousands of pounds being shared between the local charities chosen by the Rotary clubs of Tamworth, Tamworth Anker, Lichfield and Lichfield St Chad. Entries for the 2018 Rotary Cathedral to Castle Run opened on August 3, with this year's £25 entry price including a finisher's T-shirt, a goodie bag and, new for next year, a medal. All proceeds will again be donated to four charities to be chosen by the Rotary clubs and runners are welcome to raise additional sponsorship money for charities of their choosing. 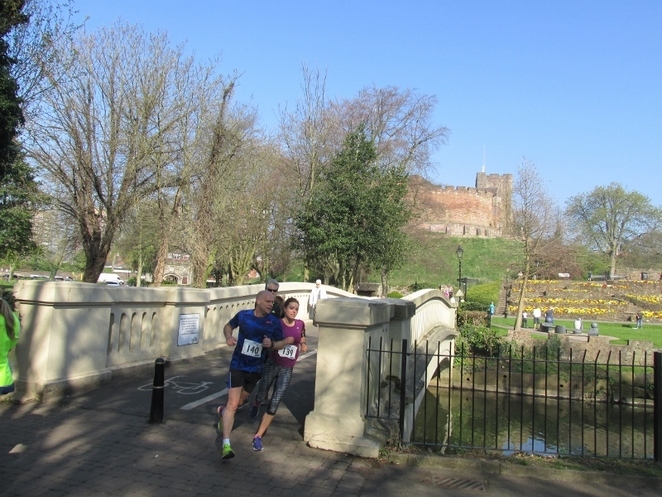 The 2018 run will again start in Beacon Park in Lichfield and finish in the grounds of Tamworth Castle. The 10-mile route has been carefully mapped out and crosses a variety of terrain including Lichfield City Centre, Ministry of Defence land at Whittington Barracks and Hopwas Wood. 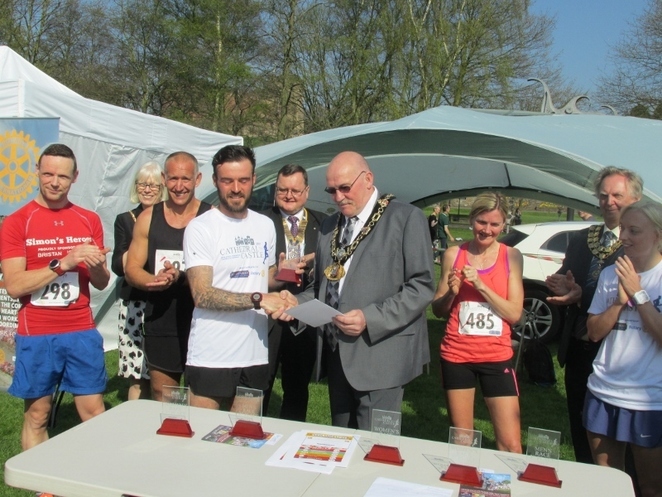 Kyle Raffo, Tamworth Rotary Club member and run director for the Cathedral to Castle Run, said: "The inaugural Cathedral to Castle Run exceeded all our expectations in terms of how popular it was. The whole day was incredibly successful, with thousands being raised for local charities. Now we're back for 2018 with an even bigger and better event. We were quite conservative with numbers for the first year as we wanted to test the logistics of putting it all together. Now that this is all in place we can more than double the number of runners to give more people the chance to take part and hopefully raise even more money for charity. We would encourage anyone who wants to take part to sign up quickly to avoid disappointment." Last year's event, which was won by Paul Richards from Telford in a time of just over one hour and one minute, was widely supported by Tamworth and Lichfield businesses who helped cover the costs through corporate sponsorship. A variety of sponsorship packages are again available for 2018, starting from as little as £100. Any businesses interested are asked to email sponsorship@c2crun.co.uk. Runners, who must be aged 16 or over, can visit online to register.